For most people, there is no middle ground with these four guys. Either you like their music or you don’t. Not many people are indifferent. Regardless of what you feel about them or their music, it’s impossible to ignore the impact they had on the music industry, and in many ways, the world. February 7, 2017 will mark the 53rd anniversary of their first visit to America, where they broke all kinds of television records when they appeared on Ed Sullivan. But before we get to that appearance, here are some facts about them that many people outside the music industry probably don’t know. They were the first band to play in a stadium. The first group to have its drummer sit higher than the band. The first popular band to use electric keyboards and synthesizers in some of its songs. The first recording artists to use sound effects in their songs. The first band to create an album in which one song runs into another. 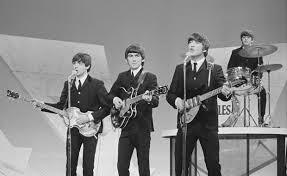 When they appeared on The Ed Sullivan Show soon after their arrival, this country was in a state of hysteria. Incredibly, seventy-three million people watched television that evening, which was the largest TV audience for an entertainment program, ever. The show was watched in more than twenty-three million homes. Remember, this was 1964. While the program was being aired, much of the nation came to a standstill. It was near impossible to get a bus or taxi anywhere. Even more interesting was that between 8:00-9:00 pm that Sunday night, crime rates in many American cities fell to an all time low. In 1965 when the Beatles once again toured America, they appeared at Shea Stadium in New York. Until then, the largest crowd to attend a rock concert had been twenty thousand people. More than fifty-five thousand showed up at Shea that night. It was a different time, one that, for many reasons, may never be repeated. 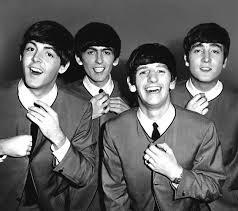 But on February, 1964, these four boys arrived. What happened next, was history. This entry was posted in Music, Uncategorized and tagged Bob Dylan, Ed Sullivan, History, Life, Music, Quotes, Rock and Roll, The Beatles, Thoughts, Writing on January 25, 2017 by George. First album I ever bought was the Beatles Green Apple one. Still have it :). I had no idea that they had been such innovators! They’ve always been one of my favorites. Have them on my work iTunes play list. And, all these years later, Paul and Ringo are still going strong! They were true rock & roll pioneers. Yes they were. In fact the whole group still sells strongly after all these years. These are some very interesting facts about how many “firsts” The Beatles had. I was a little girl when they invaded America, and the youngest of four children, so their music was very familiar to me. Thanks for sharing! Thank you for reading. Like you I grew up with them an have followed them but wasn’t aware until recently about all their firsts. Whenever I hear their songs, especially their early ones, I am back in high school and young again! The power of music. Absolutely, Kate. Music is a great transporter. Great post in homage to four men who really did change the world of music. The rich heritage of the music we grew up with is a result of a blending of styles and musical genres and instruments from every part of the globe that created a tapestry of sounds that still has appeal today. Love love love this post George! Maxwells Silver Hammer is on the XM radio as I write. How serendipitous. Indelible memories for me. Thanks for the overview! Thanks, Mitch. Great memories for all of us who enjoyed them, then and now. Oh George, thanks for a great post about the greatest band of them all. That’s a great list of their ‘firsts’… I had no idea. 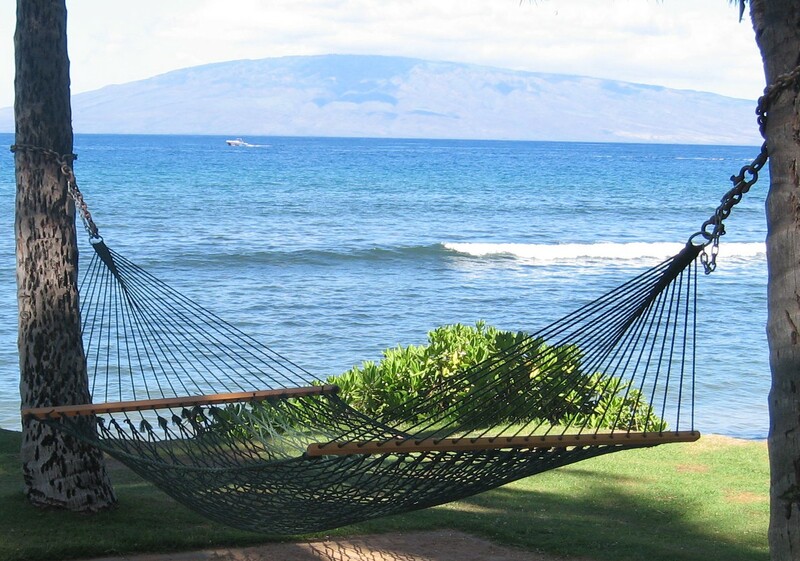 Thanks for a terrific post! Thanks, Steven. I didn’t either until I read a book about them. All these years and I never knew. Great post, George! Who’d a thunk? Right? I never knew a lot of their firsts. They were very innovative. This is crazy! Norwegian Wood is in my top 10 best songs ever. I had no clue about those facts. Awesome post. Thanks, Barb. I don’t think most people are aware of these facts. Norwegian Wood is a terrific song! I didn’t know one of them, I don’t think. The one that surprised me the most was about having the drummer raised higher. The Beatles weren’t before their time, they changed the times. Write more posts like this. Lol I’d love it, though. Really interesting. I remember watching that Ed Sullivan show with my father grumbling about their hair. I did the same with my family. It was a night when time stood still. T hat’s a great title. that’s a lot of FIRSTS! They sure made a big impact in changing music. Seems so innocent now – huh? But they were huge game changers in their day. Yes, they were. And we never even realized it at the time. I’m so proud that I knew they were the first band to use a sitar. As for the remaining facts… I’d better just say thanks. Good for you, Gabe! You’re probably one of a handful..:) They were a groundbreaking group on many levels, for sure. My husband is ‘scouse’ ie. a Liverpool lad. He is the baby of the family and was only 10 when Love me Do was released but his older sisters who were 16 and 18 at the time are fascinating to listen to when they recant stories of the early days and the effect the success of ‘the lads’ had on the City. I shall enjoy trotting out some of the first you have listed when I’m next there – I had no idea even though, of course, born in 1960 they have coloured my life at some level. That they did, Lisa. The music speaks for itself. One of the things I find interesting George is how their music has stood the test of time. So many great songs! That’s true, Lynn. But so much of the music from the time remains today. Motown, Four Seasons, The Stones…the list is endless. But their music was innovative and they were constantly pushing the limits and recreating themselves. Love the Beatles and love the facts George – most of these I didn’t know so it’s been very educational! Thanks, Joy…I didn’t know most of this stuff either but I found them pretty interesting. Great post, George! My husband and I love The Beatles. Our now 18 year old son went through a phase when he was about 5 where he would fall asleep listening to them on tape at night (or maybe it was a CD, can’t remember). I have two nicely framed photographs (art style) of them hanging in my house. They are awesome! Oh no – 53 years. Wow. Hearing those older Beatles songs on the radio always put me in a good mood. Especially a Hard Days Night. Right? Can you believe it’s been that long? You’re right, Jan…those songs are always fun to hear. Really interesting to have grown up with them, all of us having no clue whatsoever what kind of historical achievements we were living within and being treated to. Their work is among the earliest memories I have as a youngster. I would hope even the most “active” Beatles detractor would grudgingly admit their profound influence on society as well as other artists and performers. You’re right, Bruce. We just went along for the ride, never realizing their impact or influence on music and future artists. Those facts are fantastic – I don’t think I knew any of them! I don’t think most people do but I found them really interesting and enlightening. Me too! I am going to tell my husband several of them as soon as I see him tonight! One of my earliest memories is of my cousin sitting on our front porch, playing “she wa just seventeen” on her transistor radio, and I was dancing along on the front yard. And I still,love their music, to this day! Ah, the Beatles. My childhood was filled with all the songs by the Fab Four. I had no choice; my father was a huge fan and owned every album. Luckily and not at all surprising, I grew to love them too. I consider myself blessed for the experience. That said, I didn’t know half of these facts you shared here. Great post, George! Yes, it does! You as well, George! Yes, we needed that when they came. Their music had a huge impact, no doubt about it. They were legends of their time. Thanks for the facts George. Thank you for reading and commenting, Miriam. I don’t know how anyone could not like the Beatles. Their music was special, unique, heartfelt, and broke so many boundaries. Not only do I know every verse of every one of their songs, my kids do too because I raised them with Beatle music always playing. 😊 They are popular with listeners of all ages from the teens to the 60s. But my parents and people from their generation couldn’t enjoy them because they were just too different from the music they grew up with. 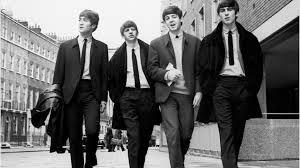 I believe that the Beatles changed music in a positive way forever. I couldn’t agree more. Their influence exceeded musical boundaries. How that influence affected the world is also legendary. Timeless music that transcends generations. They were certainly a band of many firsts…I had no idea. I appreciate you sharing this, George. One of my favorites has always been Penny Lane. Thanks for the memories! That’s one of my favorites also and I wasn’t aware of many of their first either. They certainly were groundbreaking. Thanks, Jill.